Faucet Repair by Kevin Ginnings Plumbing Service Inc.
Faucet Efficiency - Running water is one of the most basic necessities of modern life. At Kevin Ginnings Plumbing Service Inc., we don’t want you to have to live with a broken faucet. This is why we’re on call at any time, whenever you need us. Even if you just have a leak, you can’t afford to wait too long to have it fixed. 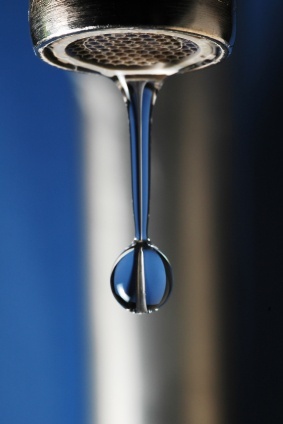 A leaky faucet can waste 20 gallons of water a day! That’s why you can call us at (816) 832-4322, night or day. Knowledgeable Faucet Professionals - We’ve done faucet repair and installation since 1985, so we’ve had time to learn everything about faucets. We can fix your shutoff valve to stop leaks. To prevent leaks from happening, we can even replace your old compression-style faucet with a modern disc-style one. At Kevin Ginnings Plumbing Service Inc., we’ve been in business long enough to know every faucet problem and every solution. Fast Service - At Kevin Ginnings Plumbing Service Inc., we value your time as much as ours. Whether you need your faucet fixed so you can return to civilized life as soon as possible, or you just want to stop those leaks from running up your water bill, we understand the importance of a job done quickly as well as correctly. Ever since 1985, Kevin Ginnings Plumbing Service Inc. has been making faucets run better and more efficiently. For faucet installation and repair, call (816) 832-4322 today for a free quote!